5.5 Earthquake hits Minahasa, Sulawesi, Indonesia. 5.1 Earthquake hits near the east coast of Kamchatka. Australia – Northern New South Wales farmers are reporting the biggest flood they have seen in more than 50 years. Flooding rivers swamped towns along Australia’s east coast on Friday forcing tens of thousands of people to be evacuated as fast-flowing waters cut roads and destroyed bridges after the remnants of a powerful cyclone swept through the region. The disaster zone from ex-Cyclone Debbie stretched 1,000 kms (612 miles) from Queensland state’s tropical resort islands and Gold Coast tourist strip to the farmlands of New South Wales state, with more than 100,00 homes reportedly without power. Six large rivers had hit major flood levels and were still rising, said the Bureau of Meteorology. Flood sirens sounded before dawn at Lismore when the Wilsons River surged over the town’s levee. By daybreak the center of the town of 25,000 people in the Northern Rivers region of NSW was underwater. Throughout the day several towns suffered the same fate and were submerged under floodwaters. Stranded residents climbed onto roofs of flooded homes to await rescuing, but fast-moving water and high winds hindered emergency crews reaching some people. Farmers moved livestock to higher ground, while others sandbagged property, desperately trying to stop floodwaters. NSW police said they had recovered the body of a woman from floodwaters on Friday, the first reported death since Cyclone Debbie hit on Tuesday. Authorities had feared that people may have died overnight as floodwaters rose swiftly in the dark. Malawi – Over 395 people have been affected by floods which were caused by heavy rains coupled with poor drainage systems in Chikhwawa. The fleet consisted of five ships, three of which arrived in the morning at Shimonoseki port in western Japan, the country’s Fisheries Agency said. In a press release, the mission was described as “research for the purpose of studying the ecological system in the Antarctic Sea”. 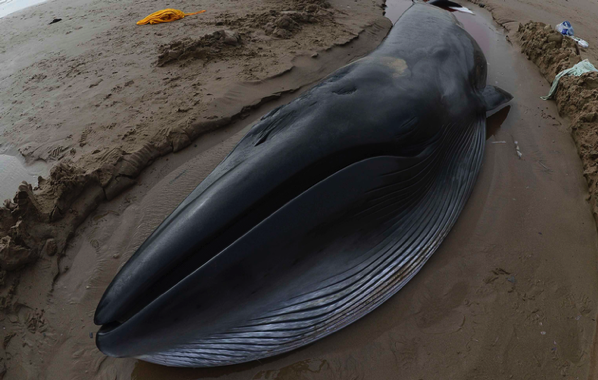 Tokyo exploits a loophole allowing whales to be killed for “scientific research” and claims it is trying to prove the population is large enough to sustain a return to commercial hunting. But it also makes no secret of the fact that whale meat ends up on dinner tables and is served up in school lunches. Using mathematical modelling, researchers from the Harvard John A Paulson School of Engineering and Applied Sciences (SEAS) found that thinning Arctic sea ice may be responsible for frequent and extensive phytoplankton blooms, potentially causing significant disruption in the Arctic food chain. Phytoplankton underpins the entire Arctic food web. Every summer, when the sea ice retreats, sunlight hitting the open water triggers a massive bloom of plankton. Phytoplankton should not be able to grow under the ice because ice reflects most sunlight light back into space, blocking it from reaching the water below. 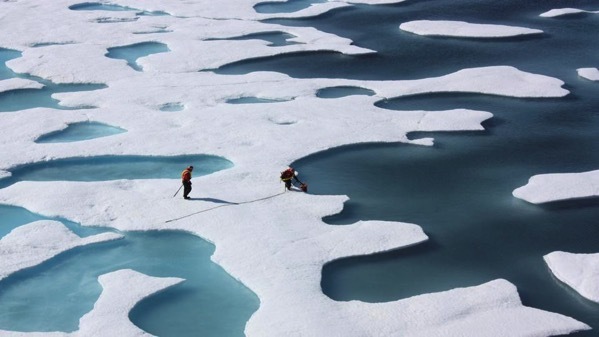 However, over the past decades, Arctic ice has gotten darker and thinner due to warming temperatures, allowing more and more sunlight to penetrate to the water beneath. Large, dark pools of water on the surface of the ice, known as melt ponds, have increased, lowering the reflectivity of the ice. The ice that remains frozen is thin and getting thinner. Twenty years ago, only about three to four per cent of Arctic sea ice was thin enough to allow large colonies of plankton to bloom underneath. Today, the researchers found that nearly 30% of the ice-covered Arctic Ocean permits sub-ice blooms in summer months. The number of cholera cases reported by the Ministry of Health in Somalia has reached a cumulative 17 211 cases and 388 deaths with a case fatality rate of 2.25%, which is nearly 4 times as many as were recorded for the same period in 2016. China’s Ministry of Agriculture reported on Thursday 37 pigs on a farm in the southern Guangdong province had been killed after contracting the O-type strain of foot-and-mouth disease. The ministry said that all pigs on the farm have been killed and the outbreak is under control. Ten people are in hospital in Auckland after contracting typhoid and public health officials are investigating whether anyone else has been infected. The Auckland Regional Public Health Service (ARPHS) has confirmed the outbreak and says it is tracing people who have been in contact with those who have been diagnosed with the disease and “following usual protocols” to stop it spreading further. Shellfish sourced from sea beds contaminated by sewage have caused earlier outbreaks in New Zealand. Bagana | Bougainville (Papua New Guinea) : Based on analyses of satellite imagery and model data, the Darwin VAAC reported that during 27-28 March a minor ash plume from Bagana rose to an altitude of 2.1 km (7,000 ft) a.s.l. and drifted 110 km SW and W.
Bogoslof | Fox Islands (USA) : AVO reported that no significant volcanic activity at Bogoslof was detected in seismic or infrasound data during 22-28 March, and satellite views were often obscured by clouds or showed nothing noteworthy. Weakly elevated surface temperatures were identified in satellite images during 21-23 March. The Aviation Colour Code remained at Orange and the Volcano Alert Level remained at Warning. Cleveland | Chuginadak Island (USA) : A small explosion at Cleveland was detected in both seismic and infrasound data at 0815 on 24 March, prompting AVO to raise the Aviation Color Code to Orange and the Volcano Alert Level to Watch. Cloud cover at 9.1 km (30,000 ft) a.s.l. obscured satellite observations of the volcano, and no ash cloud was observed from this event. Cloud cover prevented views during 25-27 March, and slightly elevated surface temperatures were identified in satellite data during 27-28 March; nothing significant was detected in seismic or infrasound data. Colima | Mexico : On 24 March the Centro Universitario de Estudios e Investigaciones de Vulcanologia – Universidad de Colima reported that during the previous week the seismic data revealed 70 high-frequency events, 25 long-period events, over one hour of tremor, four landslides, and four low-intensity explosions. The sulphur dioxide flux was 11-74 tons/day, reflecting low volcanic activity. Dukono | Halmahera (Indonesia) : Based on analyses of satellite imagery, wind model data, and notices from PVMBG, the Darwin VAAC reported that during 22-28 March ash plumes from Dukono rose to an altitude of 2.1 km (7,000 ft) a.s.l. and drifted in multiple directions. Ebeko | Paramushir Island (Russia) : KVERT reported that during 20-22 March several explosions at Ebeko, observed by residents of Severo-Kurilsk (Paramushir Island) about 7 km E, generated plumes that rose to altitudes of 1.7-1.8 km (5,600-5,900 ft) a.s.l. Minor amounts of ash fell in Severo-Kurilsk on 21 March. The Aviation Colour Code remained at Orange (the second highest level on a four-colour scale). Fuego | Guatemala : INSIVUMEH reported that during 25-28 March explosions at Fuego generated ash plumes that rose as high as 1.1 km above the crater rim and drifted 10-12 km SW and S. Ashfall was reported in areas downwind including Panimaché I and II (8 km SW), Morelia (9 km SW), Santa Sofía (12 km SW), Los Yucales, and El Porvenir. Shock waves and rumbling from the explosions were sometimes heard; structures in local areas were rattled from explosions during 26-27 March. Incandescent material was ejected as high as 300 m above the crater rim, and sometimes landed 250 m away. Avalanches of material were confined to the crater. INSIVUMEH noted that activity had become more intense on 27 March. Kilauea | Hawaiian Islands (USA) : During 22-28 March HVO reported that the lava lake continued to rise, fall, and spatter in Kilauea’s Overlook crater. A small collapse of the S part of the crater wall at 0035 on 23 March was followed by a short time of increased spatter. Webcams recorded incandescence from long-active sources within Pu’u ‘O’o Crater, from a vent high on the NE flank of the cone, and from a small lava pond in a pit on the W side of the crater. The 61G lava flow, originating from a vent on Pu’u ‘O’o Crater’s E flank, continued to enter the ocean at Kamokuna from the end of the lava tube, about 20 m above the water; the ocean entry was not consistently visible during the week. Surface lava flows were active above the pali, with most of the activity located 1.9-2.9 km from the 61G vent. During 24-25 March HVO noted that a delta had begun to form at the ocean entry, for the first time since the previous one had collapsed on 31 December 2016. Klyuchevskoy | Central Kamchatka (Russia) : On 24 March KVERT reported that gas-and-steam emissions continued to rise from Klyuchevskoy’s crater, and a weak thermal anomaly was occasionally identified in satellite images. The Aviation Colour Code was lowered to Green (the lowest level on a four-colour scale). On 28 March a gas, steam, and ash plume identified in satellite data rose to altitudes of 5-6 km (16,400-19,700 ft) a.s.l. and drifted 108 km ENE. The Aviation Colour Code was raised to Yellow. The next day an ash plume rose as high as 7.5 km (24,600 ft) a.s.l. and drifted 75 km SW. The Aviation Colour Code was raised to Orange. Nevado del Ruiz | Colombia : Based on info from Servicio Geológico Colombiano’s (SGC) Observatorio Vulcanológico y Sismológico de Manizales, the Washington VAAC reported that on 26 March ash plumes from Nevado del Ruiz rose to an altitude of 7 km (23,000 ft) a.s.l. On 27 March the observatory reported that at 1029 a gas-and-ash plume rose 1.6 km above the crater rim and drifted E. The emission was associated with a seismic event and was also recorded by a webcam. Pacaya | Guatemala : In a special report from 24 March INSIVUMEH noted that lava fountains 25-50 m high rose from a new cone forming in the crater of Pacaya’s Mackenney’s cone. The accumulated material had been filling up the cone, causing lava to flow through the crater breach formed in 2010. During 25-28 March small Strombolian explosions ejected material as high as 30 m above the cone. Sabancaya | Peru : Based on webcam images, satellite views, and seismic data the Buenos Aires VAAC reported sporadic gas-and-ash puffs from Sabancaya during 24-27 March, sometimes rising as high as 9.1 km (30,000 ft) a.s.l. Weather clouds often hindered observations of the volcano, especially during 22-3 and 25 March. Sheveluch | Central Kamchatka (Russia) : KVERT reported that during 17-24 March lava-dome extrusion onto Sheveluch’s N flank was accompanied by strong fumarolic activity, dome incandescence, ash explosions, and hot avalanches. Satellite images showed a daily thermal anomaly over the dome, and ash plumes that drifted 126 km WNW on 19 and 21 March. The Aviation Color Code remained at Orange (the second highest level on a four-colour scale). Sinabung | Indonesia : Based on PVMBG observations, satellite data, and wind data, the Darwin VAAC reported that during 22, 24-25, and 27 March ash plumes from Sinabung rose to altitudes of 3.3-4.3 km (11,000-14,000 ft) a.s.l. and drifted S, SE, and E.
Suwanosejima | Ryukyu Islands (Japan) : Based on JMA notices and satellite-image analyses, the Tokyo VAAC reported that on 28 March an explosion at Suwanosejima generated a plume that rose to an altitude of 1.8 km (6,000 ft) a.s.l. and drifted SE. Turrialba | Costa Rica : OVSICORI-UNA reported that a weak ash emission from Turrialba was visible during 1800-1940 on 25 March. Periods of more intense crater incandescence, from possible Strombolian activity, corresponded to higher tremor amplitude during 0330-0530 on 26 March. Later that day a small plume with a minor amount of ash rose 500 m above the crater and drifted S and SE. An event at 0752 on 28 March generated an ash plume that rose 300 m and drifted S.
The week’s hottest temperature was 115.0 degrees Fahrenheit (46.1 degrees Celsius) in Matam, Senegal. The week’s coldest temperature was minus 95.0 degrees Fahrenheit (minus 70.6 degrees Celsius) at Vostok, Antarctica. 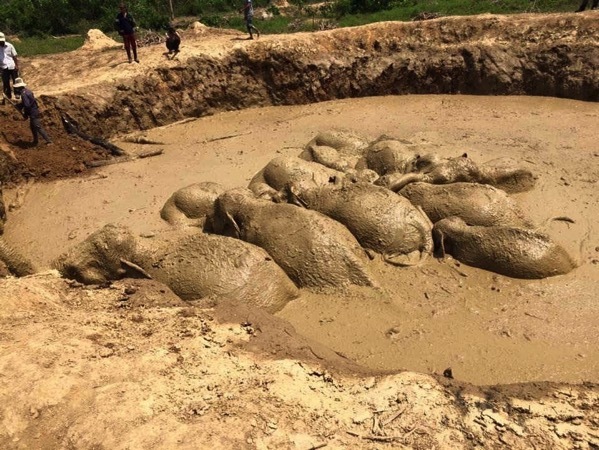 A rescue in Cambodia saved 11 Asian elephants from a muddy death after they fell into an old bomb crater. The herd — three adult females and eight juveniles — was discovered in the large crater in Keo Seima Wildlife Sanctuary on March 24, covered in mud and unable to escape, according to the Wildlife Conservation Society (WCS). Local farmers notified the Cambodian Department of Environment, which called in the WCS to save the unfortunate pachyderms. After building a ramp, the elephants could be seen pushing each other up the slippery ramp with their heads and trunks. The last elephant remaining in the crater, with no herd members to push it out, got a little help from people at the scene, who pulled the animal out with ropes. The elephants, which had been trapped for days, were freed within a few hours. Two people have died from rabies in the town of Cauayan, Negros Occidental province prompting the declaration of an outbreak. The victims, men in their 60s from different villages, died in the past week from rabies post-dog bites. To make matters worse, the family of one of the victims killed the dog, cooked it and served it to at least 10 people. Some of the ten have received rabies post-exposure prophylaxis (PEP) and the provincial veterinarian has launched a massive anti-rabies vaccination and information dissemination campaign. Aira | Kyushu (Japan) : JMA reported that an explosion at Minamidake summit crater (at Aira Caldera’s Sakurajima volcano) detected at 1803 on 25 March generated a pyroclastic flow that traveled 1.1 km down the S flank. An explosion at 2228 produced an ash plume that rose 1.4 km above the crater rim. Ash fell in the vicinity of the volcano and as far as 4.5 km E. Based on JMA notices and satellite-image analyses, the Tokyo VAAC reported that ash plumes drifted SE and E that same day. Bezymianny | Central Kamchatka (Russia) : KVERT reported that during 17-24 March lava continued to advance down the NW flank of Bezymianny’s lava dome. A thermal anomaly was visible in satellite images on 17, 19, and 22 March. The Aviation Colour Code remained at Orange. Cerro Azul | Isla Isabela (Ecuador) : IG reported that increased seismicity at Cerro Azul began on 15 February and was characterized by the presence of volcano-tectonic events. A 1-hour-long swarm occurred the next day, and then afterwards only sporadic events were detected, some of which were located in the Sierra Negra volcano region. Sporadic events located at Sierra Negra continued to be detected during 8-13 March. A 30-minute-long swarm was recorded on 18 March. Earthquakes became more frequent and intense on 19 March, and another swarm occurred during 0700-1800 on 20 March; earthquake locations migrated SW, to the SE part of Cerro Azul during 19-20 March. Another swarm was detected during 1915-2200 on 21 March, with most magnitudes between 2.4 and 3, though the highest was 3.6. Deformation during 8-20 March was detected in satellite data, characterized by 14 cm of inflation at the SE flank and 11.2 cm of deflation at the summit. Deformation and seismic data suggested the emplacement of a sill 3.5-6.3 km below the SE flank. Chirinkotan | Kuril Islands (Russia) : SVERT noted that no further activity at Chirinkotan was visible after the ash emission on 21 March. The Aviation Colour Code was lowered to Green (on a four-colour scale). Manam | Papua New Guinea : Based on analyses of satellite imagery and model data, the Darwin VAAC reported that on 24 March a steam plume from Manam, possibly with a minor ash content, drifted 75 km SE. Nevados de Chillan | Chile : On 24 March OVDAS-SERNAGEOMIN reported that during an overflight of Nevados de Chillán scientists observed a single 100-m-diameter crater, the result of two active craters merging together sometime between 7 and 15 March. In addition there were five explosions in the period of about an hour, ejecting tephra 900 m high which dispersed SE. The pattern of activity changed on 17 March with increased frequency and magnitude of the explosions. The Alert Level remained at Yellow, the middle level on a three-colour scale, and the public was reminded not to approach the craters within a 3-km radius. 6.6 Earthquake hits near the east coast of Kamchatka. 5.2 Earthquake hits the Ceram Sea, Indonesia. 5.2 Earthquake hits south of the Mariana Islands. 5.0 Earthquake hits near the east coast of Kamchatka. 5.0 Earthquake hits the Azores Islands, Portugal. 5.0 Earthquake hits the Alaska peninsula. Tropical Cyclone Debbie has dissipated over northern Queensland, Australia, after dumping more than 1 000mm of rain in some areas and causing substantial damage to affected areas, especially the Barrier Reef islands. A 1,300km (800 miles) stretch of Australia’s north-east coast is at dangerous risk of flooding after a powerful cyclone, authorities warn. Most central Queensland mines and railways are at a standstill as driving rain from Ex-Tropical Cyclone Debbie threatens to halt coal production for some time. Peru – The extreme floods wreaking havoc in Peru are also threatening the South American country’s rich archeological heritage and the tourism that thrives on it, a Peruvian archaeologist said on Tuesday. At least 50 archaeological sites in Peru have been damaged by the intense rains that are battering northern Peru, resulting in a drastic drop in related tourism. Malaysia – Twenty-three victims from five families were evacuated after floods occurred in Simpang Ampat, Alor Gajah near here late Tuesday night. Several areas on the mainland were hit by flash floods including Taman Bagan where residents described it as the worst deluge in the last 10 years. About 250 houses in Taman Cantik, 100 houses in Taman Bagan and 70 more in Taman Kerapu were inundated yesterday. President Donald Trump signed an executive order March 28 that dismantles the Clean Power Plan, an Obama-era regulation that would have set limits on emissions of carbon dioxide and other pollutants from power plants. The executive order is aimed, in part, at reviving the coal industry, according to Trump. But it’s doubtful that this measure is more than a stopgap, as natural gas and renewable energies, including wind and solar, are already making strides toward supplying electricity on a large scale. Nearly 270 people, most of them children, have died in the past five months during the latest meningitis outbreak to hit Nigeria, public health officials said Wednesday. Presently there are 1,828 suspected cases with 269 deaths in about 15 states.